As I was passing through Barnes and nobles heading to The Apple store, I felt a strong urge to cop a new read. Naturally something fashion related are my first thoughts. Needless to say I almost left the store emptied handed, but a 30% off section (I’m a sucka for sales) caught my eye by the registers so I gave it a go. She had on an all black plunge, V neck dress and a choker type necklace around her neck. “Too good to be true”, I thought. 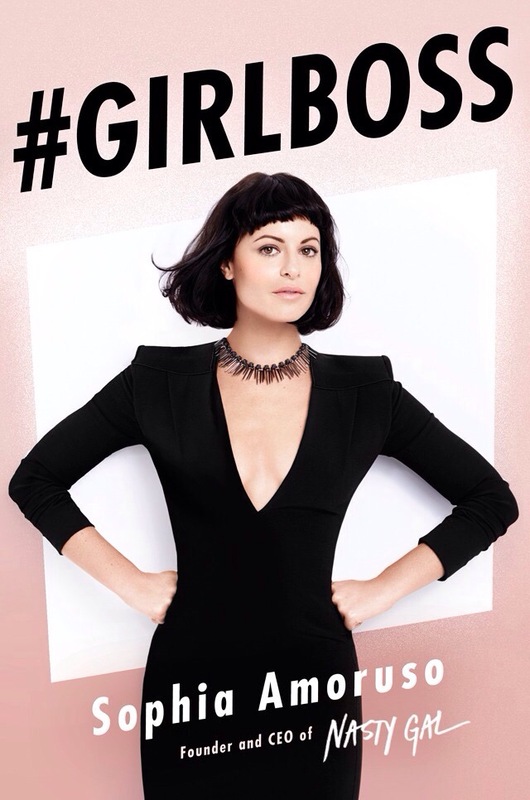 Then I noticed at the bottom it read Sophia Amoruso, Founder & CEO of Nasty Gal, at that moment I knew this would be life changing. I Grabbed a copy and felt an intense urge of excitement to dive in, Knowing that the CEO of a fashionistas dream empire would spit some knowledge to me, I started the book that night. I instantly felt that I was getting advice from a fairy fashion god mother. The book offers empowerment with a heavy dose of reality. Her witty, yet honest style spoke to me in a way that fueled me and I needed that. The book featured quotes and illustrations for each chapter which spoke chic, genuine, authenticity to a fashionistas heart. 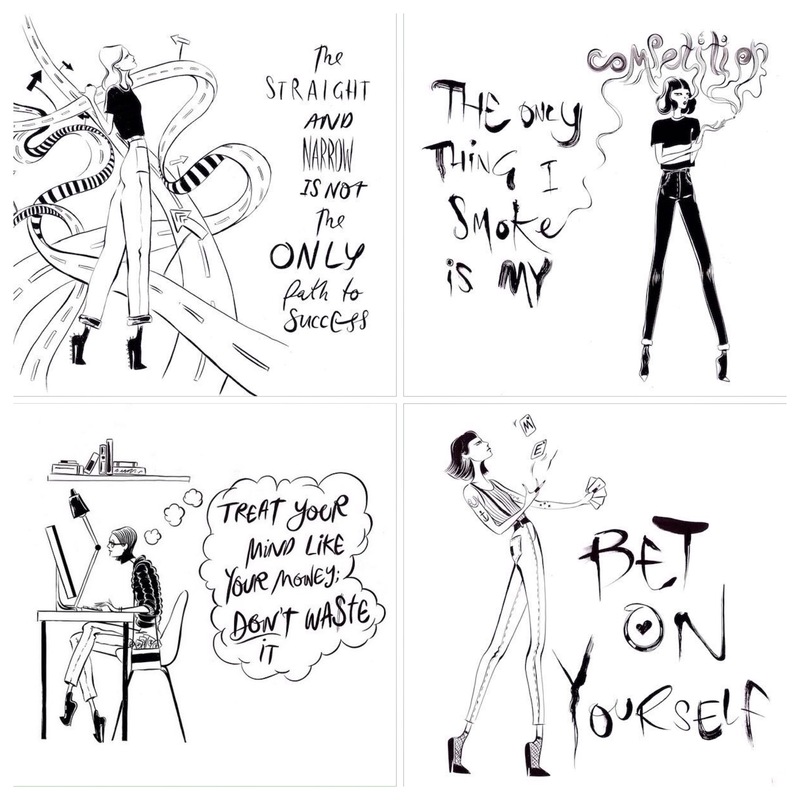 The overall message of the modern day Business entrepreneur book #GirlBoss boils down to a quote mentioned in the book “ABANDON ANYTHING ABOUT YOUR LIFE AND HABITS THAT MIGHT BE HOLDING YOU BACK. LEARN TO CREATE YOUR OWN OPPORTUNITIES. KNOW THAT THERE IS NO FINISH LINE; FORTUNE FAVORS ACTION. RACE BALLS-OUT TOWARD THE EXTRAORDINARY LIFE THAT YOU’VE ALWAYS DREAMED OF, OR STILL HAVEN’T HAD TIME TO DREAM UP, AND PREPARE TO HAVE A HELL OF A LOT OF FUN ALONG THE WAY”. I took the book everywhere, to work, my friends homes, to the park to read after I jogged etc. As I read the book at work I felt empowered to keep going, to show up and show out. I suggest this book to any young creative fashion forward mind. NastyGal.com is currently the “It” site for some of the realist fashion finds I’ve seen in a while, and reading about the birth of such a dope site, I found to be very inciting. For the longest time I felt that my love for fashion wouldn’t manifest into reality. Upon blogging and slowly becoming comfortable with my thoughts and love for fashion I prayed. Along with prayer and long talks with ones that saw the light within in me, This book helped me to accept that I could achieve whatever it is that I desire. Through hard work, dedication, strategic planning, creative expression and most importantly through trusting my inner voice. P.S…If you decide to read it shoot me a email at DesiredCitygirl@WordKrush.com! I’d love to hear your feed back! Also check out my Tumblr http://desiredcitygirl.tumblr.com for more photos and quotes. She’s really very inspirational and I love the concept of girl boss. For sure! Will def check out!